Shyam Selvadurai was born in 1965 in Colombo, Sri Lanka. He left Sri Lanka after the 1983 riots on Colombo and settled with his family in Canada. He lives in Toronto and is the author of Funny Boy (1994), Cinnamon Gardens (1998) and Swimming in the Monsoon Sea (2005). 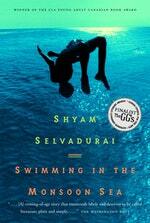 Be the first to find out about Shyam Selvadurai.